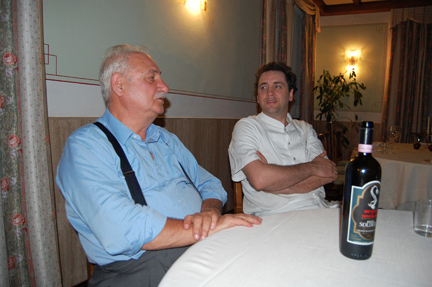 A few years ago I was with Giulio at the Isvea Laboratory. A woman approached us with a printout of analysis results in one hand, a glass in the other. A highly capable man but at the same time a paragon of modesty who believed in the potential of Tuscan wines produced using only Sangiovese. He always said that winemakers are the ones who make the wines together with the land and the vine. He was a simple taster who gave his advice to winemakers on what to do in the cellar without forcing them to denaturalize their wines. 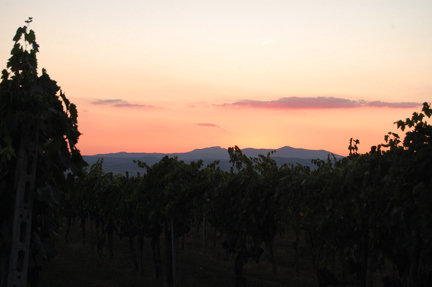 He made his first visit to Montalcino in the early 1970s when the Consortium of Brunello di Montalcino asked him to visit all of the producers in the appellation. He drove his famous Renault 4 from winery to winery, tasted the wine from the barrel or vat, and then he would patiently and phlegmatically explain the importance of cleanliness in the cellar, precision in vinification, the importance of racking, etc. But always with the humility typical of the greats in the world of wine.